The Rolls-Royce Wraith isn't for everyone. Well, to be precise, no Rolls-Royce is, but the new limited-edition Wraith with the world's first illuminated wood and perfectly-timed LED shooting stars is only for 55 people from around the globe, because that's exactly how many will be made. Unless someone buys multiples, of course. 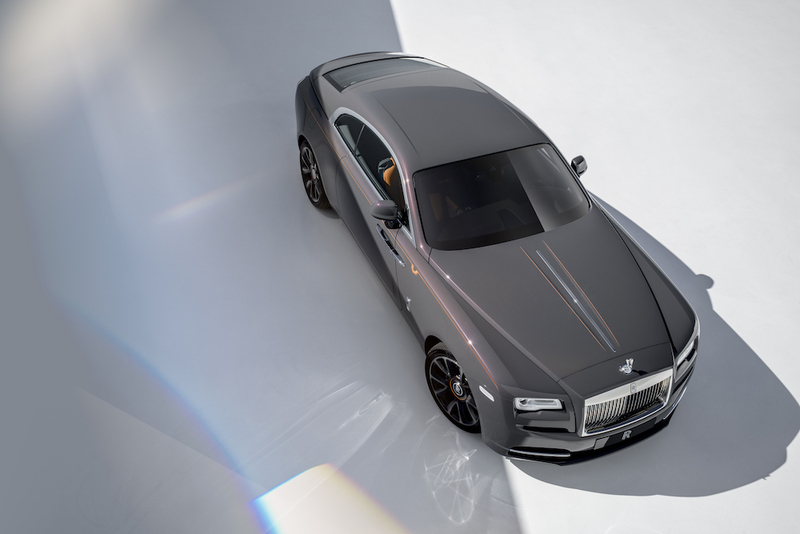 Say hello to the Rolls-Royce Wraith Luminary Collection, a bold, dynamic, and ultra-luxurious automobile that delivers on the sort of details that no one else would ever dare to think of, as the Goodwood brand often does. 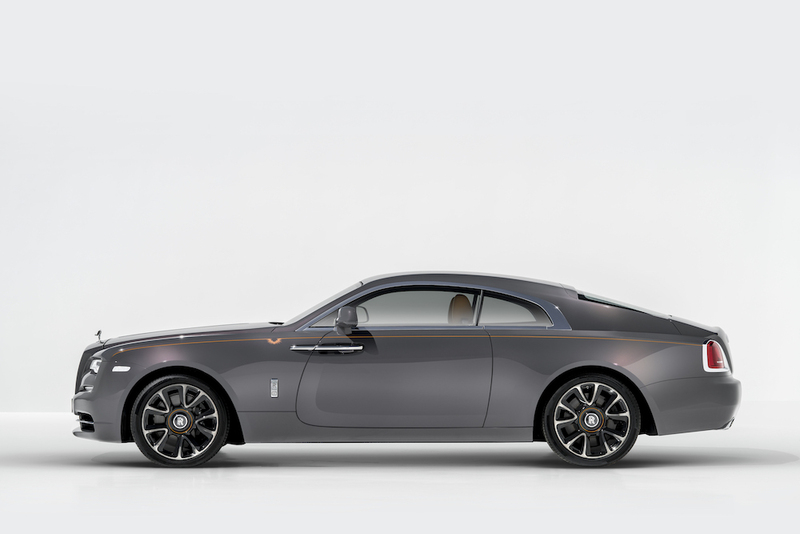 The limited-production model begins with a "normal" Wraith that's first painted in Sunburst Grey, which is a flat gray hue that, once awoken by the sun, transforms and dazzles with rich copper tones. The seductive profile is later emphasized by a hand-painted Sunburst Motif coachline, and pinstripes applied to the spinning wheel centers which always remain upright. The outside might be stunning, but it's the cabin where the magic truly happens and what warrants the exorbitant price tag. And speaking of the price tag, Gerry Spahn, Head of Communications for Rolls-Royce Motorcars told The Drive that pricing for the Luminary Collection starts at $402,000, and that interested buyers "should move fast, as these are collectors' editions." The opening of the coach doors reveals a cockpit trimmed in Saddlery Tan leather, with the rear cabin in Anthracite leather. 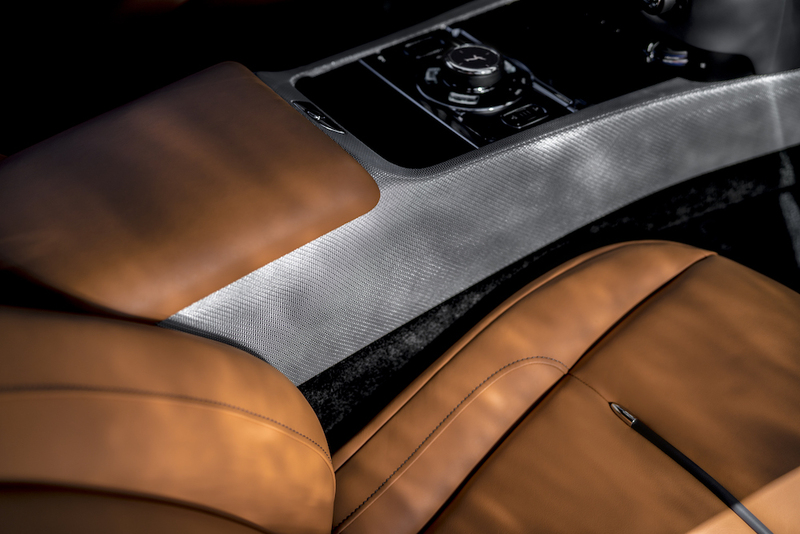 Rolls-Royce claims that the two-tone cabin highlights the driving-persona of the Wraith. Chauffers needn't apply. The two grandiose characteristics of the Luminary Edition are found above and around the passengers. First, Tudor Oak from the forests of the Czech Republic was intricately perforated so the light emitted by 176 LEDs could shine through it. 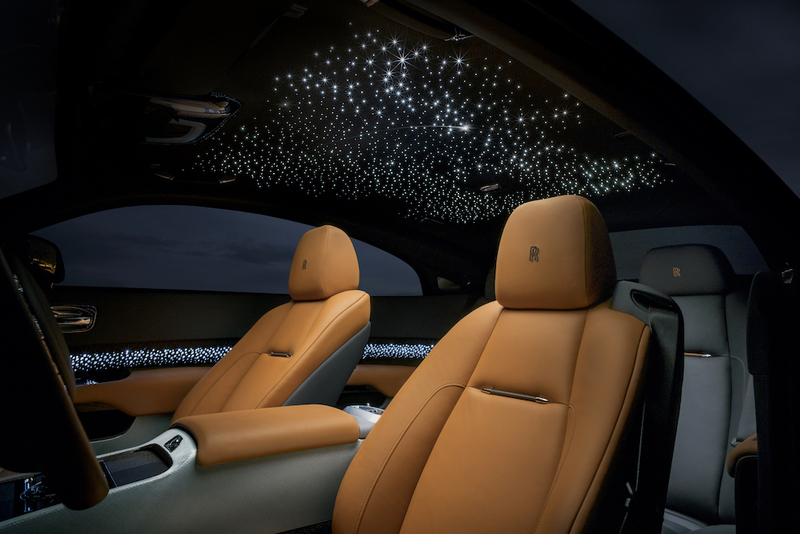 Second, the starlight headliner already found in the Wraith was reconfigured so its 1,340 fiber optic lights could recreate eight different shooting stars that fire at random over the front seats. Together, the illuminated wood and the headliner create an astonishing pattern of light that resembles the trailing light of a shooting star over the dark skies. You know, because sometimes millionaires want to experience that kind of thing from inside their cars. Spokesman Spahn says you can place an order today through a Rolls-Royce client advisor. Only 55 of them will be made and only 17 or 18 are coming to the Americas, he said. There you go folks, get your wallets out.